http://www.vimeo.com/185517129 Chet is out there somewhere, living, skating, making his art. Lost or Found? Who can tell? This short film by Clark Hodgin and Matt Miller is a snapshot of Chet. 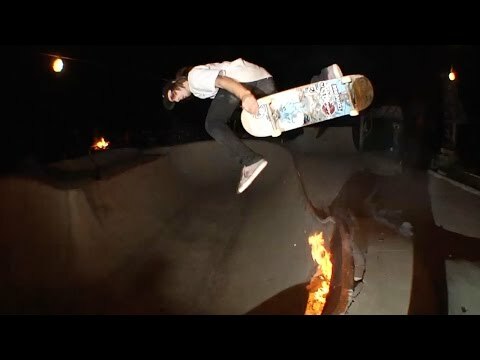 Chet Childress keeps his daily life and skating on the road in this short video featuring his newly released OJ Pro Juice wheel and and travel worthy campwise coffee mug.